If you’re already appalled by how much you spend on your car insurance policy, I have some bad news for you, it’s probably going to get even more expensive. A lot of insurance experts believe auto insurance rates are going to go up even more in 2018, and they have some compelling evidence for this argument. For the past several years, auto insurance companies have reported minor profit margins or even negative profit margins. If they are not earning money on their policies, you can expect them to raise the rates. Businesses make money by having higher revenues than expenses. The higher the revenues versus their expenses, the more money they are going to make. With an insurance company, it’s a little different. The auto insurance companies make their money from their premiums and their expenses include the payments they make for repairs. Every year, the insurance companies look at how much they have made versus how much they had to pay in expenses, which includes payouts to claims. The major companies were barely making money on their premiums. There is one simple way to solve this problem, raise premiums. There are several reasons the insurance companies are losing money, but one of those is because of weather. In the past year, there was a lot of natural disasters which caused auto damage. The majority of those repair bills were sent to the insurance company, which are the comprehensive claims. According to the Insurance Information Institute, the average cost of these claims was $1,700. A lot of these were a result of the severe hurricane season in 2017. To offset those losses, the insurance companies have little choice other than raise their premiums for another year. Not only did Mother Nature play a major role in raising your rates, but other drivers are part to blame as well. Statistics show there have been drastically more crashes in the past several years than ever before. The insurance companies see these statistics and they are looking to offset the additional risk. Last year, in 2018, slightly over 22% of households had at least one claim on their auto insurance policy, which is almost 2% higher than in 2014. If you’re like most people, the idea of paying more for your auto insurance makes you groan. You have to have an auto insurance policy, but you can’t imagine having to pay EVEN MORE for your coverage. It can be very frustrating for a policyholder who hasn’t made any claims, but is forced to pay higher rates every year. There are a few things you can do to secure lower insurance rates for your car coverage. Just because you have to have a plan doesn’t mean you have to pay for a plan which breaks your bank account every month. Making a few simple changes could save you money on your coverage. The first thing you should do is take a long hard look at your deductible. If you want to save money every month, call your insurance agent and talk to them about raising your deductible. The deductible is the amount you have pay out-of-pocket before your insurance coverage comes in. If your deductible limit is at $500, you can consider raising it up to $1,000 which will significantly lower how much you have to pay every month. This could save you as much as $200 or $300 every year on your insurance plan. Another way you can save money is to usage-based driving insurance. These policies are very different than a traditional insurance company because they base your rates on how much you drive. Think of it as a “pay-per-mile” insurance coverage. This is an excellent choice for anyone who doesn’t drive a lot every year. Ask for discounts from your insurance company. It may seem a little ridiculous, but if you want to save money, try asking. Most insurance companies offer dozens of different discounts for policyholders who are apart of certain groups, who haven’t missed a payment, or who bundle their policies. It doesn’t hurt to ask, and it could save you money. With your premiums going up (probably not for the first time) now is a good time to do some comparison shopping for your auto insurance policy. The ten biggest insurance companies were struggling to cut a profit, which means their rates are going up, but it doesn’t mean ALL insurance companies are going to raise their rates. With these higher premiums, there might be a cheaper option on the market. If you want to save money, look for a cheaper option. If you’ve had your plan for several years, there could be several cheaper options. Instead of spending hours calling insurance companies to get quotes for your car, let us do the work. We aren’t your traditional old insurance broker. 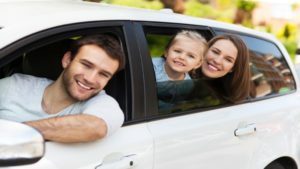 We can connect you with the best auto insurance companies in the Denver area. Also, we can work with you to help you save as much money as possible on your auto insurance plan and answer any questions you have. Auto insurance is the most confusing type of plan out there because of all the optional coverage and additional protection you can have. We are here to answer your questions and walk you through the process. If you want to save money, contact one of our Longevity Brokers today.